Bees are some of the hardest working animals on the planet! Unfortunately, excessive chemical use has killed off large portions of their population. Bees are vital to our food supply and to our gardens. Our plant would be a much different place without them. Bees pollinate over 400 types of agricultural crops and 1/6 of our flowers. Gardeners want to attract bees. 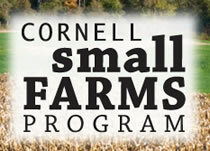 They do the hard work for us and pollinate our beautiful flowers and growing vegetable plants. While some plants can pollinate themselves, a significant portion requires the help of bees, birds, and other organisms. Proper pollination gives us large, delicious fruits and lively flowers. On top of that, raising bees is quickly becoming common on homesteads, rural and urban. 1. 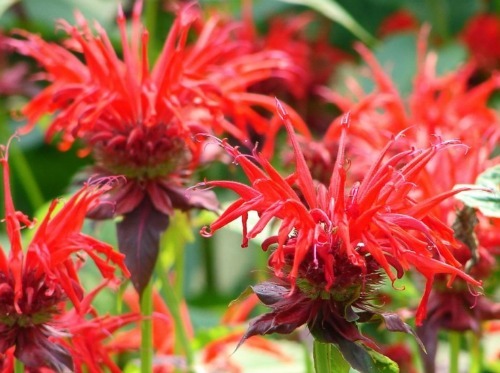 Bee Balm: Named by the North American natives, every gardener needs a few of these lovely plants in their bee-friendly garden. You can grow them in most areas of the USA, and they flower throughout the entire summer. 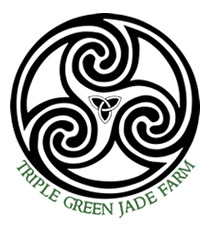 There are a variety of species to try, such as the Scarlet Bee Balm and Lemon Bee Balm. 2. 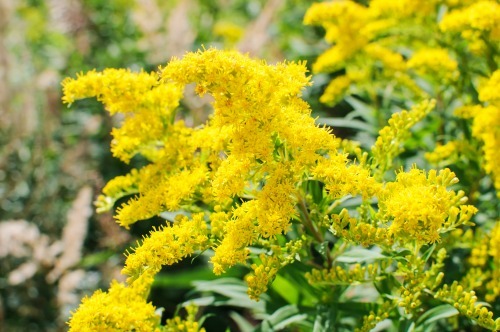 Goldenrod: Chances are you noticed a few Goldenrod bushes around your house. They are a native plant in the Americas, attracting hordes of wild bees. Goldenrod is a perennial that is beloved by bees because of its vast amount of pollen and nectar. Most people don’t include these plants in their garden; they are a common allergy. However, Goldenrods are fantastic for dotting your property when properly maintained. 3. Black Eyed Susan: Another common North American plant is the Black Eyed Susan. These are a popular choice for bees with their bright, sunny yellow petals and dark center. The petals also can come in bronze, red, and mahogany. One of the best reasons to plant Black Eyed Susan is that they are perennials. 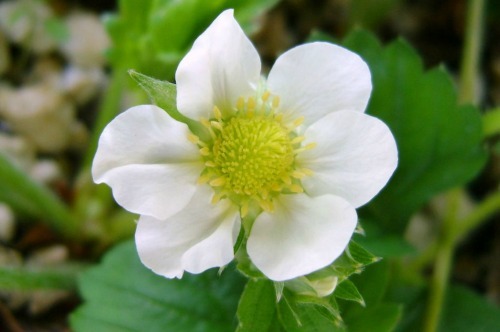 Plant them in a sunny area, and you will have lovely flowers each year! 4. Lavender: Quite a few herbs are attractive to bees including the aromatic lavender. 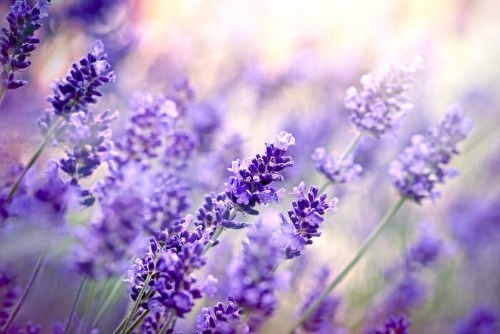 Originating in Europe, lavender is now popular around the world. They bloom from late spring into summer and can be used in recipes and herbal remedies. Lavender is a perennial herb with purple-colored flowers. You can also purchase white lavender, but it isn’t as common. The great thing about growing lavender to attract bees is that they do fantastic in containers and are drought and poor soil tolerate. 5. Chives: Every garden needs to have at least one chive plant. You can put this onion relative plant in your flower bed or vegetable patch. 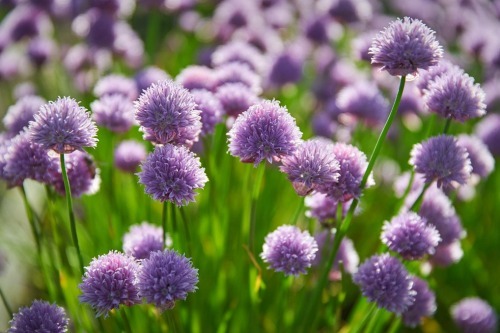 Chives are a perennial herb that has a purple flower head. Bees are attracted to the flower head of the plant. You can plant these in early spring in well-drained soil. Overall, chives are a very easy plant to grow to attract bees. 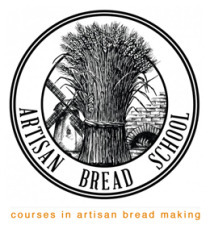 It comes up each year and requires very little maintenance. Just remember to take off the flower heads before they set seeds! 6. Vegetable Plants: If you want to bring bees to your vegetable garden, there are a quite a few plants they favor. Some options are artichokes, cardoon, beans, cucumber, peas, winter and summer squashes. 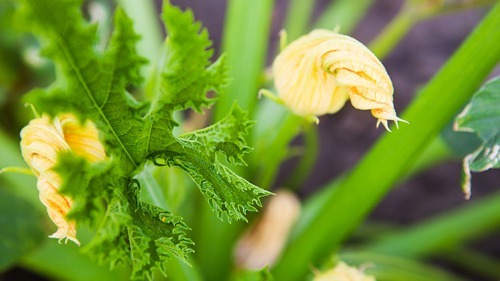 Most of these plants start with flowers that turn into the vegetable. The bees are generally attracted to the flowers before they set into the veggies! 7. Raspberry Bushes: Nothing screams summer like fresh fruit in your garden. There are quite a few options for fruit plants you can grow at home. Raspberries are a favorite choice for bees, and they are prolific growers. Remember, raspberries take a few years to grow well. 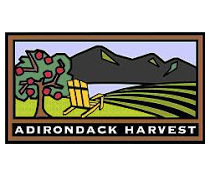 You may not have a surplus until two to three years after planting. 8. 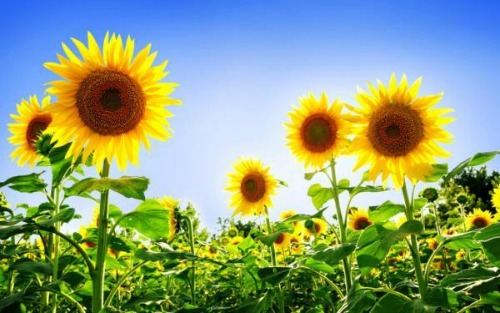 Sunflowers: The large center of sunflowers give bees plenty of space to find nectar and pollen. You can grow native sunflower species throughout the country so long as you plant after the last frost. Sunflowers aren’t frost hardy! Some species are designed for decorative purposes while other species are grown for their edible seeds. 9. Butterfly Bush: If you want to attract bees and butterflies together, a Butterfly Bush is the best choice! As the name would suggest, butterflies love this beautiful bush. However, the fragrant flower with their large variety of colors encourages bees to stop and visit. 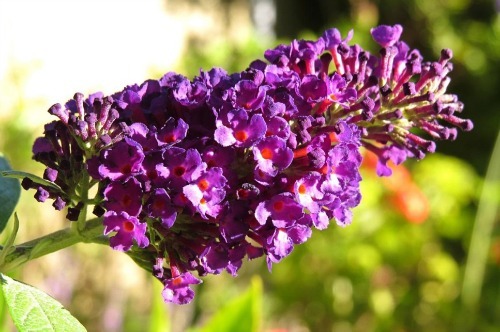 Butterfly Bushes come in pink, purple, lavender, blue, cream and orange. These shrubs can grow significant amounts of flowers as either a bush or a tree. If you opt to grow a Butterfly Bush, you will have to prune them. This list is far from exhaustive. Almost all herbs attract some bees. If you pick bright, fragrant flowers, chances are bees will stop and visit your garden on a regular basis. 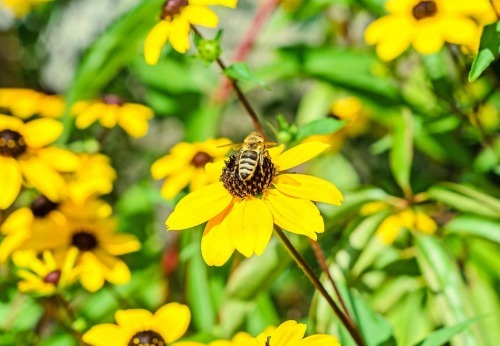 Native plants to your area are also an excellent choice for attracting bees to your garden. This entry was posted in Gardening and tagged bees, flowers, garden, pollination.